In the western world, we largely depend on supermarkets. However, a store that regularly makes or buys more food than it can sell isn’t sustainable – neither environmentally nor economically. That’s why it’s important that stores frequently review their practices and make a concerted effort to manage food waste efficiently with landfill being a last resort. In fact, according to ‘love food hate waste’, the food that we waste in New Zealand creates 325,975 tonnes of carbon emissions. To put that into perspective, they say that to offset this damage, 118,107 cars would need to be removed from our roads each year or 130,390 trees would need to be planted! It’s clear that when it comes to food waste, more must be done to have a significant impact but having an efficient supermarket waste management strategy is a good place to start. To help, we’ve put together five ways that will help your store manage food waste more efficiently. Assign a Waste Champion – the first step is to educate and assign a staff member or two to be in charge of your store recycling efforts. They can work along with one of our Easi consultants to make sure they have all the information needed to ensure that the correct bin systems are in place and used properly. Identify Key Waste Streams – start by carrying out a free waste stream audit here or by speaking to one of our friendly consultants. This way, you can identify all your key waste streams, how to separate them and how they can be recycled correctly. Use Colour Coded Bins that are Clearly Labelled – such as these here. This will really help your staff. If your bins are clearly labelled and colour-coded with different waste streams, they will find it easier to separate food waste correctly. Educate, Educate, Educate – once your bins are set up and your waste streams are identified, it’s time to educate your staff so that they understand what waste to separate in their department and also what they should empty their bins into once they’re full. In fact, why not invite your Easi waste consultant along to run a brief workshop on the importance of recycling and how to do so correctly? 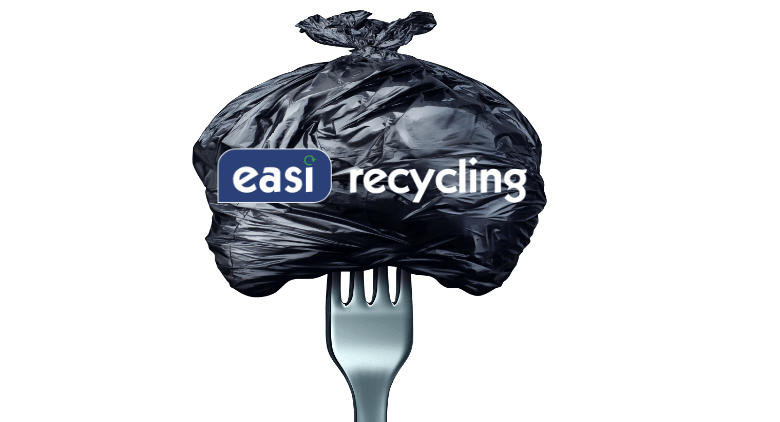 Set a Waste Minimisation Goal – Discuss your environmental ambitions with your team and your Easi consultant. For example, how about making it a goal to reduce your landfill bin empties or try aiming to hit a 95% waste diversion rate? We all need something to work towards but be sure to keep it achievable and realistic. Remember to monitor your progress too, with friendly reminders to staff along the way. Take your commitment to our planet one step further and work with your customers to help them reduce food waste at home too. How? Print advice on how to freeze or store leftover food on the packaging of your products. Alongside this, why not try an in-store campaign that highlights how much food is wasted and what can be done about it? Supermarkets can’t solve this issue alone but any initiative to reduce food waste is certainly worth the effort. Is A Waste Free Future Possible? Food waste is a difficult problem to tackle but with help from supermarkets, we can work toward a meaningful solution. The challenge is large but implementing our five supermarket waste management tips can help get your store on a greener path. 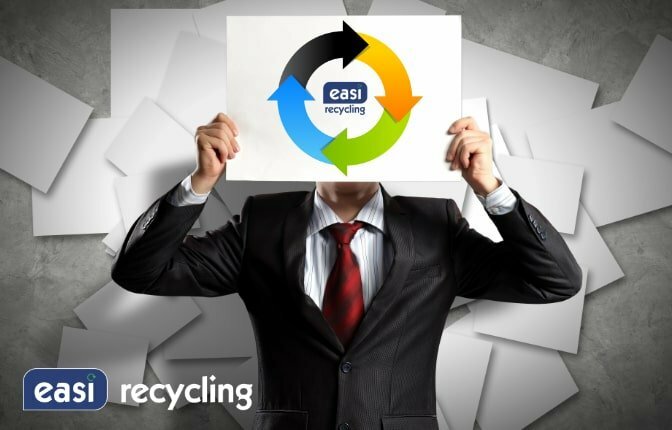 If you’re interested in innovative waste handling and packaging solutions for your store, Easi Recycling can help. Our bins make sorting food waste easy and environmentally safe – making them the ideal solution for a supermarket. To find out more click here or contact us today on 0800 342 3177.